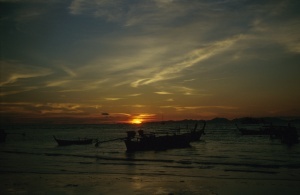 After biking in India and trekking in Nepal, Thailand is a nice place to relax and enjoy the beautiful beaches. 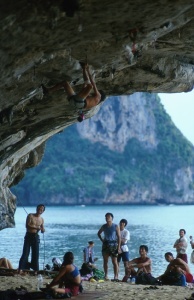 The Railey beach not far from Krabi is a good place for rock climbing. 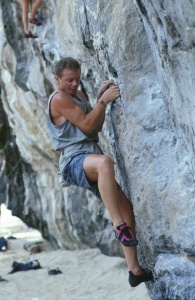 There are lots of climbing scool teaching the basics of rock climbing. 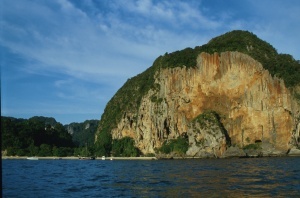 Unfortunately the bungalows there are getting more and more expensive and probably in some years the backpackers wont be able to afford lodging there.